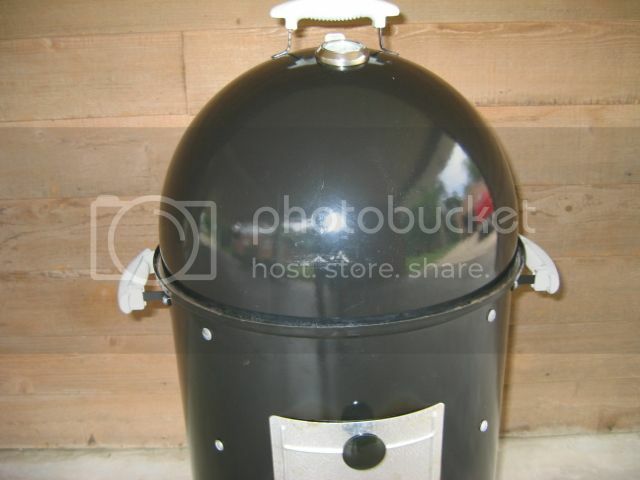 Handles for WSM middle - The BBQ BRETHREN FORUMS. 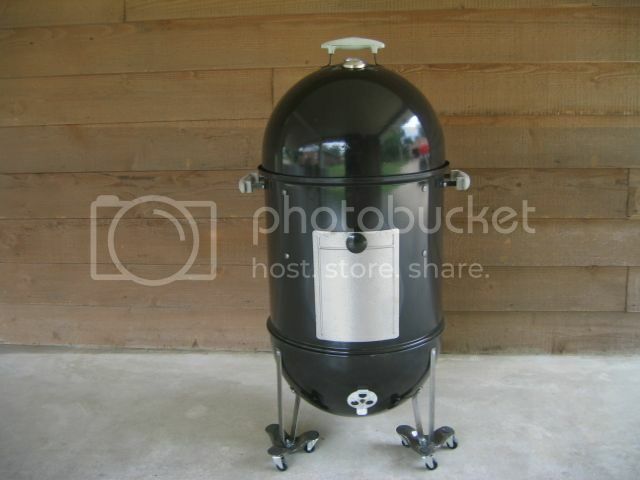 Does anyone know or could recommend where I could get a couple of handles to attach to the middle section of my WSM 22.5"? I have been to the Weber site and it looks like the only handles available are lid handles. Since they only use a single screw I'm not sure whether they wold be strong enough. I put the Genie garage door handles on mine, can't remember the model number right off but I'm sure someone on here has it. They fit almost perfect with just a minor adjustment with some pliers. They fit on the grate support bolts. Thanks I will check into that. Hopefully someone will have the model number handy. Unfortunately I don't think they are. If you look at the photo there is only one screw in the middle. 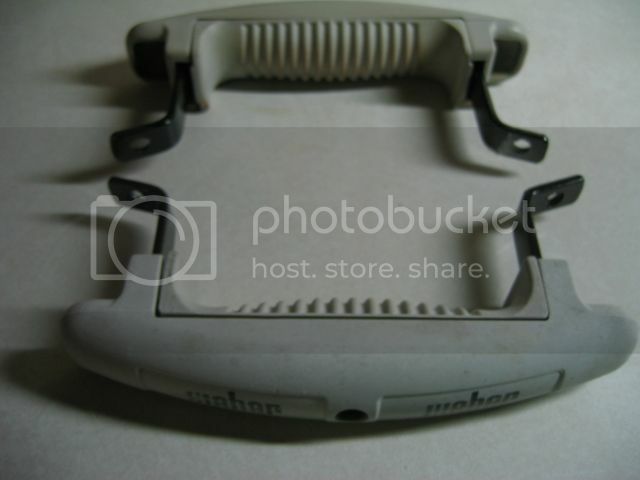 I compared this to the handle on the Weber site and I think they are the same. Thanks for the suggestion - I do appreciate it. Garage door handles attached with the grate support bolts. Take a ruler or a tape measurer. Measure the distance between the grate support mounting holes center to center. Take the measurement to your nearest HD, Lowes, Menards or Menards and buy garage door handles with the same, or nearly the same, measurement between the mounting holes. I just made my own out of some flat bar from Home Depot. Sears Hardware had the exact nuts & bolts that Weber uses on their WSM. "Pappy", nice job and thanks for the pics. I'm going to try doing the same here to my WSMs. That thing sure is clean pappy. It's old too. It's my 1983 Craigslist score. You sure keep it clean and grease free. Where could I find a set of those wheels? Wheels give it a wider base for better stability.